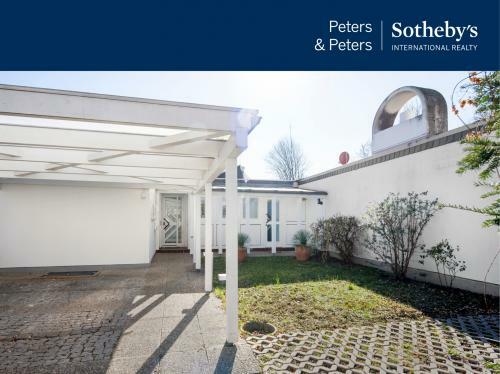 Egon Eiermann, one of the most important architects and designers of the post-war modernist period, designed this bungalow in the Bauhaus style in 1965; it is part of a complex of four houses. The appearance of the façade is quite unpretentious and restrained, completely in line with the style of Egon Eiermann. Right from the entrance foyer of the house, the interior reveals itself to be a special gem featuring smooth transitions, floor-to-ceiling glass elements and rooms flooded with light. Openness and no-frills lucidity are the prime focus, thus conveying a very special life-style feeling. All of the rooms open onto the interior atrium, which is completely shielded from view from the outside. It is an oasis of tranquility with sunshine in abundance, a large measure of privacy and options for undisturbed retreat. The bungalow has a total living area of approx. 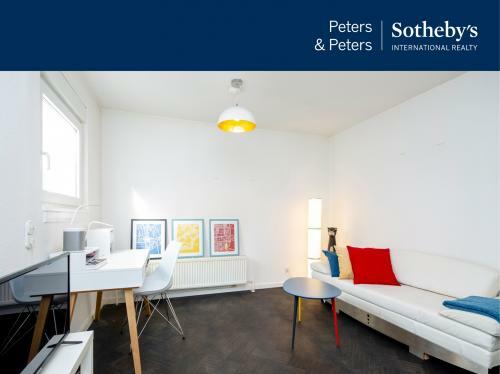 200 sq m with a well-thought-out floor plan all on one level. Plenty of glass, dark wooden flooring and clear-cut lines achieve a combination of transparency and comfortable ambiance. A tastefully finished living-dining room, a separate kitchen and a generously dimensioned office await you. The latter can even be partitioned, so it can be converted for use as two children’s rooms. Thus, the house is also quite suitable for a family with children. 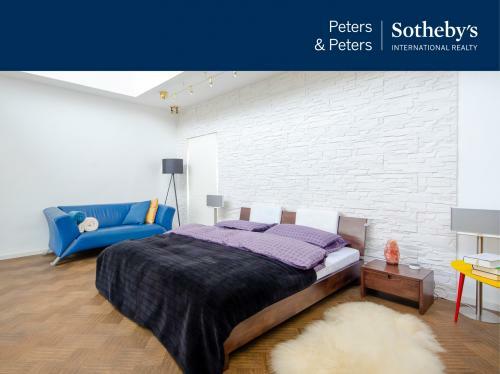 The bedroom including an anteroom that serves as a dressing room is a special highlight. That hideaway offers a compelling combination of spaciousness, unusually high ceilings, abundant light from roof-lights and a lovely view of the atrium. In addition, the living area level also includes a guest room, a corridor with large built-in cabinets as well as three bathrooms and a two-piece bath for guests. The house has a partial basement including two storage rooms, a laundry room and a furnace room. The sauna with a spacious relaxation / exercise room, a shower and a separate two-piece bathroom are particularly worthy of mention. Architect-designed bungalow in the Bauhaus style, classified as a cultural monument, walls constructed of prefabricated concrete slabs, dark wooden flooring throughout living areas and bedrooms (original parquet), built-in wall units in the living room, built-in cabinets with plenty of storage space in the corridor, electrically operated blinds and rolling grille elements (original), Velux roof-lights in mint condition, beautiful atrium with plenty of sunshine and the utmost in privacy, alarm system with CCTV surveillance, additional usable floor space on basement level, sauna with relaxation room, carport with parking space for an additional vehicle in front of it. 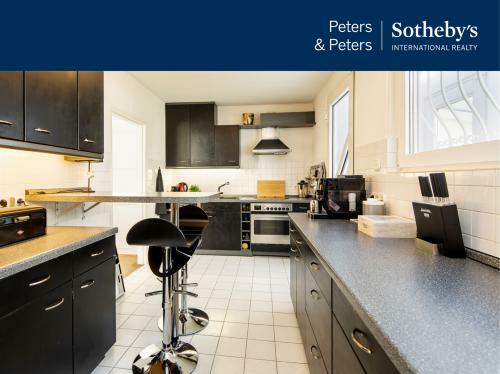 This house is located on an absolutely quiet access road (a cul-de-sac for abutting residents only) in the urban district of Lauterborn in the City of Offenbach. Offenbach has a population of about 127,000; it is located in the Rhine-Main region and is directly adjacent to Frankfurt. The location offers numerous shopping options, cafés, restaurants and physicians, as well as schools. The city boasts of extensive parklands. Just like the riverbank of the Main, they are an ideal starting point for walks and leisure activities. Offenbach is served by the commuter railway system of the Rhein-Main region. 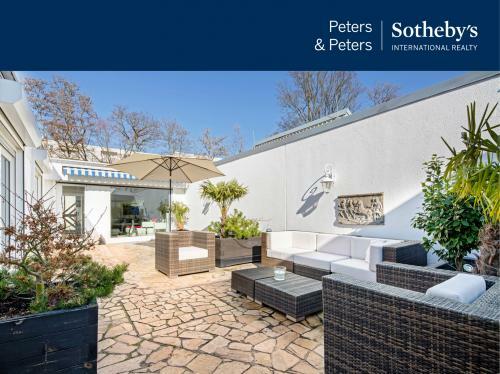 The city benefits from its optimal connections to the A3, A5 and A661 autobahn highways and the Frankfurter Kreuz autobahn interchange and from its excellent accessibility to Frankfurt Airport. The commission amounts to 5.95% incl. 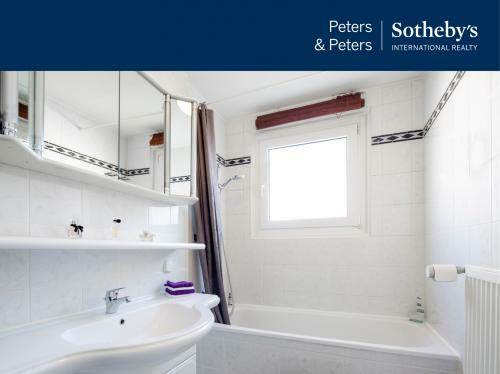 VAT of the purchase price and is payable by the purchaser on conclusion of the purchase contract. The details provided above are based on information provided by third parties. 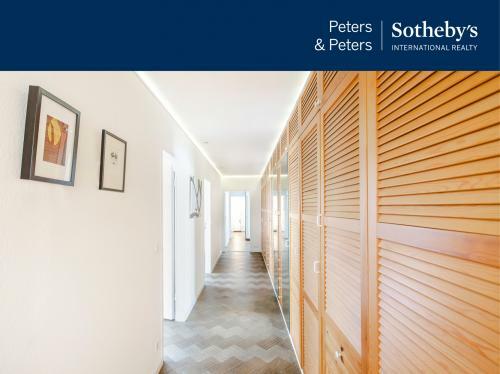 Peters & Peters Sotheby´s International Realty does not assume any liability for the completeness and accuracy of that information. 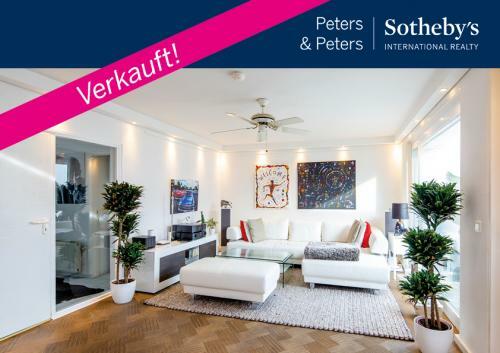 In the event that we have aroused your interest in this stunning property, please call Susanne Roecken at our Frankfurt office or write us an e-mail. Our General Terms of Business apply. 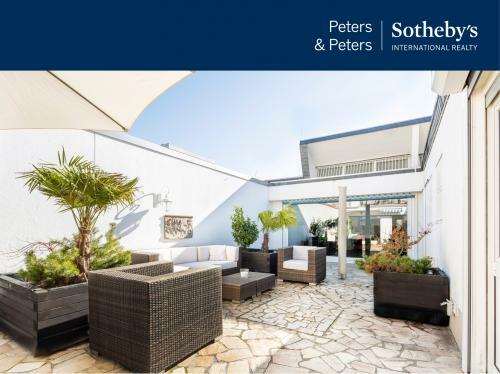 The Sotheby's International Realty® luxury real estate network. 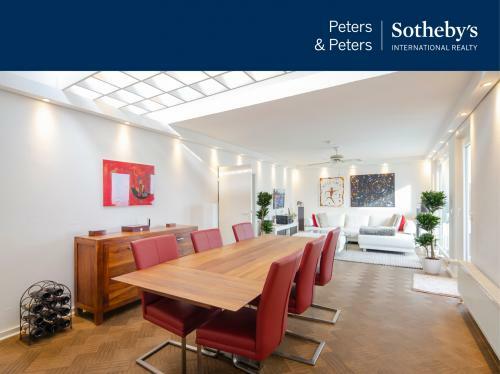 Offering a collection of luxury homes, estates and properties for sale throughout the world. Each Office is Independently Owned and Operated. ©2007 Sotheby's International Realty Affiliates LLC. 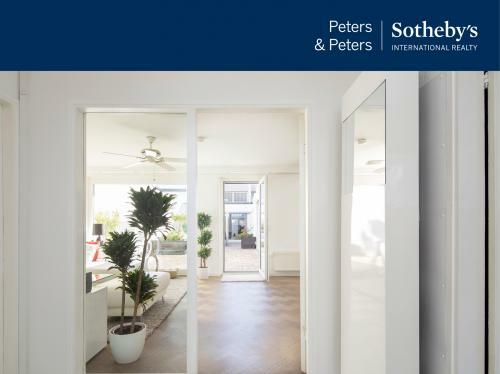 Sotheby's International Realty® is a registered trademark licensed to Sotheby's International Realty Affiliates LLC. Equal Housing Opportunity.